First of all – free of charge and the absence of a clear advantage of the player paying the player not paying. For money you, of course, can buy a tank of high level, but without experience you cannot pump it. In general, paying money, traveling and crumbling everyone who is on free tanks, will not work. In addition, most of the tanks are opened only by your sweat and the crew’s blood, that is, by experience. The uniqueness of this genre. This is the first game of this kind, where, as the main characters, not long ago bored elves with orcs or brave commandos with equally brave terrorists, and severe military machines and not even fantastic, but existing in reality and participating in real battles (except for those realized in game of never released prototypes). And, yes, they are also big and iron. Agree, somehow warms the soul, when driving past a wooden house you inadvertently carry it into chips. Just remember the ancient Monster Truck Madness. And, if you think about it, the theme of tanks is close to the heart of a Russian man, because our grandparents protected our fatherland on the same machines. Relative simplicity of gameplay. It will not be difficult to get into the basics of the gameplay of the game. It would seem that everything is simple – you go, shoot the enemy, the enemy shoots you. But the most interesting will begin when you tear off the cover of this apparent simplicity and begin to delve into the nuances of the mechanics and ballistics of the game and the secrets of tactics. That’s when you will be delayed. World of Tanks, in spite of everything, makes a rather pleasant impression and just wildly delays. 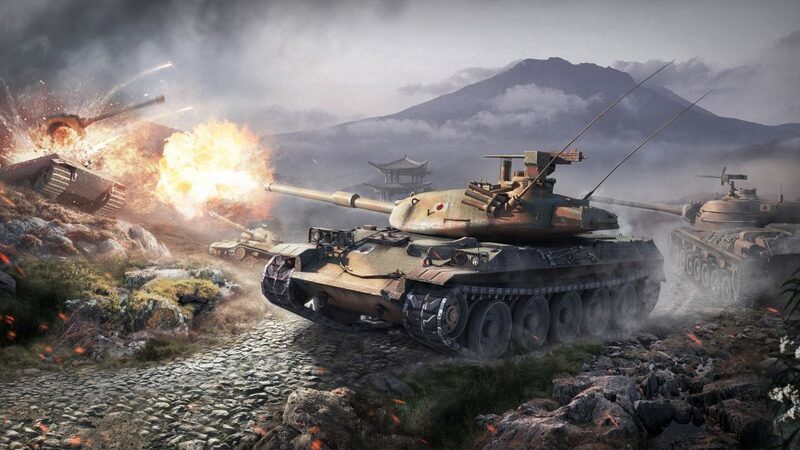 If you start playing, in a week you will begin to understand Soviet tanks, use words such as ARTA, firefly, gold, and so on, in strange variations for the ordinary person’s hearing, and sincerely enjoy buying new war machines.